Getting in touch with the great outdoors and camping can relax you, help you get in touch with nature, and reset your circadian clock. Which is why it’s a favorite among many during the summer months. But what to do when it’s winter and you want to go camping? Cold weather tents, also called 4 season tents or mountaineering tents, are the answer to all your camping needs year round. As you can imagine, they have better insulation than regular tents. 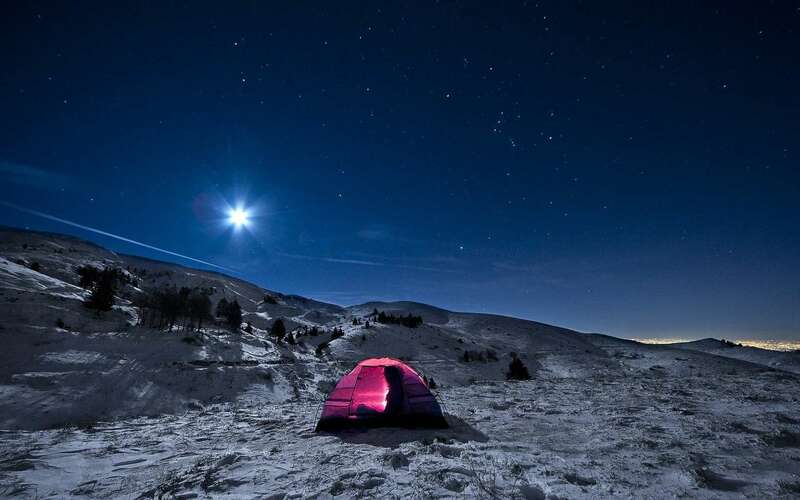 Below you can find my round up of the best cold weather tents to help you make a right choice. Factors to Consider Before Buying a Cold Weather Tent. One of the most obvious benefits of cold weather tents is the fact that they are better insulated and can keep you warmer than normal tents. Rather than using lots of mesh, cold weather tents use material that is more solid and sturdy to give you added warmth in the bitter winter months. Cold weather tents are typically made with better materials to add an extra protective layer. Not only do the provide better protection from the cold but also from rain and snow. A pretty major difference from standard tents, are cold weather tents’ added guy lines. They give the tent more structure and stability to withstand the winter months. Cold weather tents usually come in either 2 or 4 person styles. Thus it’s important to know how many people will be using it at any given time. What’s the point of having a 2 person tent if you usually camp in a group of 4 people? Before you can decide if you want a double or single wall tent you’ll probably want to know what the differences are, right?Single wall tents are lighter and easier to set up than double wall tents, but double wall tents are warmer and cost less. What type of poles do you need? Most cold weather tents have poles made out of either glass fiber, carbon fiber, or metal. Glass fiber poles are usually the cheapest option, lowest quality option. Carbon fiber poles are usually the most expensive since they are very lightweight and extremely durable. The metal poles are the most common poles since they are inexpensive and yet sturdy. If you are on a budget, you’ll probably want a simple tent that can get the job done. There’s no need to spring for hundreds of dollars above your budget just for some extra bells and whistles. How long do you want to spend setting it up? By answering this question, it’ll also help you answer the single wall or double wall question. Double wall tents take more time to set up than single wall ones. After answering the questions above, it will be much easier to choose a cold weather tent. Here are some more tips to keep in mind when shopping. If you want to camp in any weather condition, rain or shine, snow or sleet, you’ll definitely want a tent that is waterproof so that you can escape the rain and have a warm and dry place to sleep. There’s no need to settle for a tent that doesn’t have everything you want. If you know specific features you want in a tent, don’t settle for less, the perfect tent is out there. Of course the manufacturer is going to try and make their product sound perfect without mentioning any of the negatives. So it makes sense to look at reviews from people who have bought and tried them to get a full look at how the tent performs. Luckily, I have tried many cold weather tents and have reviewed my favorites below. The Hilleberg Nallo GT is an all-around superb tent, which is why I have named it the best cold weather tent. It is easy to carry around and has lots of features you’re sure to fall in love with. It performs in tip top shape year round and is flexible enough go with you anywhere. Whether you’re camping in the woods, or enjoying a night under the stars at your local lake, this is your tent. 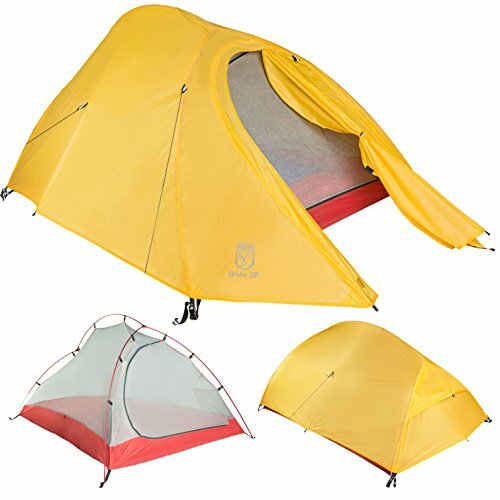 The top features of this tent include its durability, lightweight nature, tunnel construction, and easy setup. The Hilleberg Nallo GT uses Kerlon 1200 fabric on the outer tent and 9 mm poles. Both of these contribute to its durability and low weight. The Kerlon fabric provides superb protection from snow and storms and the 9 mm poles are thick enough to make sure your tent doesn’t collapse in on you while still being light enough to carry around. The tent also has tunnel construction, which gives the best space to weight ratio and makes storing things in the tent a lot easier. Once you get in, the tunnel construction makes it feel roomy. Lastly, The Hilleberg Nato GT is super easy to set up, which comes in handy when you’re at the hands of mother nature. This tent is perfect for two people and has plenty of room. It also has separable inner and outer tents, which makes simultaneous pitching possible. The inner and outer tents can also be separated, making it perfect for camping trips all year. If you use it during the winter, it is best to leave them together. But you can easily separate them and just use the inner tent while camping in less harsh conditions. The rear outer wall also allows you to have additional venting options. Just in case it gets too hot or condensation starts to build up. The only downside of this tent is that some others are more durable. That’s not to say this one isn’t durable, but while working to make it as lightweight as it is, you inevitably lose a tiny amount of durability. It is still very durable, and it’s worth not having to tote around a heavy tent on long trips, making it one of the best cold weather tents out there. The Firstlight from Black Diamond is the tent that’s going to give you the most for your money. Everything from its portability, to its sleek and stylish design, goes toward making this tent one of the best cold-weather tents. It will get you through camping trips in even the harshest of winters and is a great choice all together. This 2 person tent from Black Diamond is a campers’ dream come true. It features an optional vestibule for storage so you can keep your dirty or wet gear away from where you’re sleeping. I like to use the vestibule to store my water, maps, compass, extra jackets and blankets, and whatever else I don’t need at the moment. This tent is also very easy to set up and only has 2 poles. The poles are DAC Featherlite poles, which make the tent very sturdy. The Firstlight also has 2 zippered mesh pockets on the interior. There is one pocket at the front by the door, and one in the back. The pockets are great for ventilation and to help avoid condensation building up. Additionally, when it rains or drops into bitter cold temperatures, you can easily zip them up. A major advantage of this tent is that it is made from nylon, which is waterproof. Moreover it is also made from a Nanoshield fabric, which allows for minimal weight and most durability. Finally, even though this tent doesn’t have tunnel construction, it is still very space efficient. 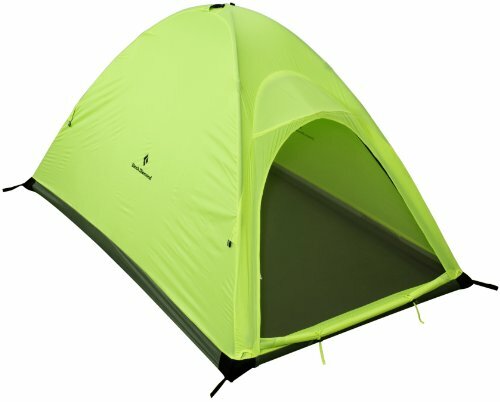 Here is another bonus – it comes in a wasabi green color that is pretty unique to this tent :). The only possible drawback of this tent is that it is single walled. This mean condensation can tend to build up in them. However, the mesh pockets are an easy fix to this. And if you remember from earlier, there are tons of benefits of single wall tents, such as easier setup. The benefits definitely outweigh the drawbacks in this case. For those of you on a budget, the Bryce 2P is perfect for you. It has all the features of top end tents, at a fraction of the cost. You shouldn’t have to break the bank to be able to enjoy a camping trip any time of year. The Bryce 2P comes with enough great features for even the pickiest adventurer. It has two-way inner and outer zippers, adding to its functionality and easy usage. It also has a great ventilation system so you don’t have to worry about condensation. The mesh pockets play a part in this superb ventilation system, but also give you a place to store wet gear and clothing and dry them off. There is a vent in the back of the tent with a kickstand to help with ventilation as well. The Bryce 2P has 12 guy lines, for maximum stability and durability. But just in case something happens and a pole does break, don’t sweat it. This tent comes with pole repair splints so your camping trip isn’t cut short. Moreover, it has 3,000 mm PU waterproofing, so you can rest easily without worry about waking up in a puddle of water. I was really impressed right away with this tent. It performs just like the high-end ones yet is affordable. I fell in love with it overnight and you can expect to as well. What’s great about this tent is that it is made from the highest quality materials. The flysheet is made from 20D ripstop polyester, the floor and footprint are made from 70D polyester. On top of that, the poles and stakes are made from a 7000-series aluminum alloy. The Bryce 2P also comes with a full one-year manufacturer warranty, so it is essentially risk-free. The only downside, is that with all the added poles and guy lines, it takes a little longer to fully set up. It isn’t difficult, just a little time-consuming, but the more you do it, the faster you’ll be able to get it up and down. The extra guy lines are well worth the few extra minutes of setup time. If $250 is too much to shell out, and you’re on a really tight budget, the ALPS Mountaineering Taurus is your best choice for under $100. It is a 2 person cold weather tent that will provide you with protection from whatever nature throws your way. ALPS Mountaineering has made it easier than ever to camp on a budget. And even though it is inexpensive, you are still getting a top quality tent. It is tough enough to withstand countless adventures and will quickly become a staple on all of your outdoor excursions. The first thing I noticed about this tent was its seams. 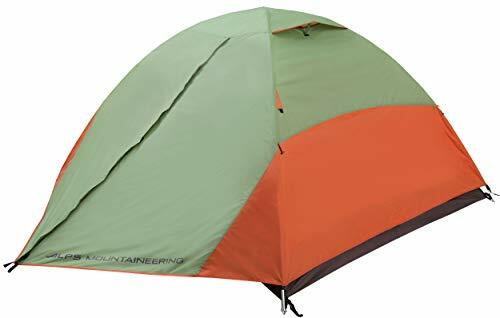 A lot of tents have flimsy seams, and no matter how waterproof the material is, if the seams are flimsy and not sealed water is going to leak in. But the seams on the Taurus are factory sealed and provide exceptional protection from water, snow, rain, and everything else. The Taurus also has 2 doors for easy entry and a mesh roof to help with ventilation. This tent has mesh storage pockets and a gear loft as well. Both of which add to its functionality and makes storing things a breeze. The poles are made from sturdy and economical fiberglass. And the tent comes with guy lines for added stability. The Taurus, from ALPS Mountaineering, comes with absolutely everything you need. From tote bags, to repair swatches, you have everything you need for a reliable shelter when you choose the Taurus. If it makes you feel better you can bring a tarp with you to put on the ground in case it’s wet, but I guarantee you won’t need it. 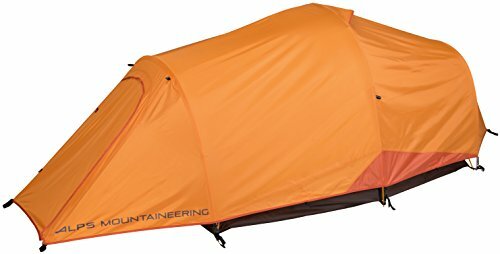 This is probably one of the most waterproof tents I have tried. The only drawback of this tent is that it is a little heavier than other cold weather tents. It weighs around seven pounds, so that’s some weight to your camping cargo. It is still pretty light however, and is not difficult to carry in addition to what you already have. Keep in mind it is big enough for ONLY 2 people. However, with it costing less than $100, you can buy a couple if you plan on camping in a larger group, and still spend less than you would buying a regular, full price one. This is what I did, since I usually camp in groups of five or six, and it cost me less than $300 total. That is less than the majority of fancier cold weather tents, and everyone absolutely loved them. I had multiple friends ask me where I got them and I told them Amazon. They were all shocked because they thought I got them from one of the overpriced camping stores nearby, and they were even more shocked when I told them I got all 3 for less than $300. 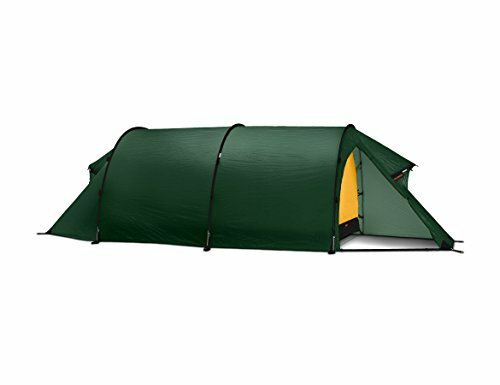 Another great cold weather tent from ALPS Moutaineering is the 5255605 Tasmanian. It did not fit into any of the other categories I have listed, but it was too good to leave out. There are so many great features and this is another one that won’t break the bank. It is significantly cheaper than most cold weather tents. Like all ALPS Mountaineering tents, this one is waterproof, durable, and reliable. All of the cold weather tents on this list go above and beyond and are great options, but if you end up choosing this one, you won’t be disappointed! The Tasmanian features a tunnel construction design with two vestibules, which make it super easy to store all your gear and gives you more floor space while keeping the overall weight low. The flysheet and floor are also factory sealed, which gives you a great protection against water. I had to use this tent during a pretty bad storm and I was pretty nervous at first. I had tested many tents that claimed to be waterproof but water still leaked in and soaked me and all of my stuff. However, when I used the 5255605 Tasmanian, not a single drop of water leaked through, needless to say, I was thoroughly impressed. That is just the beginning of the Tasmanian’s awesome features. It also has 2 doors for easy entry and meshes windows and vents for outstanding ventilation. The mesh windows are zippered, so they can easily close if it is too cold or if it is raining outside. The vents too, can fully close so you don’t have to worry about water getting in through those either. Like its relative Taurus, the Tasmanian also has a gear loft. This is such an underrated feature of cold weather tents. This simple, yet spacious and strong gear loft, makes camping exponentially easier. It gives you a great place to store all of your gear overnight until morning. My favorite thing about this cold weather tent is how easy it is to assemble. With the help of a couple friends, I was able to get this up in about 10 minutes. Some other tents took me 30 minutes, and others took even longer. But the Tasmanian is pretty straight forward and intuitive when it comes to assembly. It may pose a challenge to people who have never put up a tent, but even then, it isn’t hard to figure out and will definitely get easier over time. The only disadvantage of this tent is that it can only hold two people. This is pretty typical of cold weather tents however. They are not meant to be large family size tents, and if they were they would just be ridiculously expensive. I haven’t had any other problems with this tent and of course, if you really wanted to you could cram more people in there. It’s not like there’s a weight limit, 2 is just the number of people that can fit comfortably. Once you start adding more there is less and less living space, but it’s possible. Go with Hilleberg Nallo GT if you value quality above anything else. Pick Black Diamond Firstlightif you are a somewhat regular camper. It offers the best value to money! Choose Check on Taurus if you are on a really tight budget or Bryce 2Pif you want to spend a tad bit more for a higher quality. This is it. Regardless of what you decide to purchase, you can’t go wrong with the choices listed here. I hope you enjoyed my short guide to the best 3 season tents and found it helpful. If there is anything you would like me to ask about, drop a comment below.